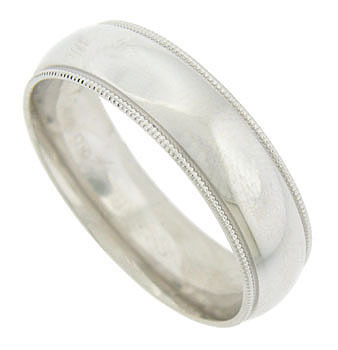 This brightly polished mens wedding band is crafted of 14K white gold and finished with strings of distinctive milgrain design. 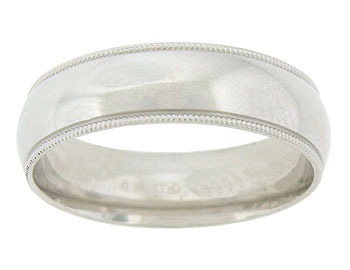 The handsome antique style wedding ring measures 6.25 mm in width. Size 10 3/4. We cannot re-size, but we can reorder in other sizes as well as yellow, red, green gold and platinum. Please contact us for current market cost.